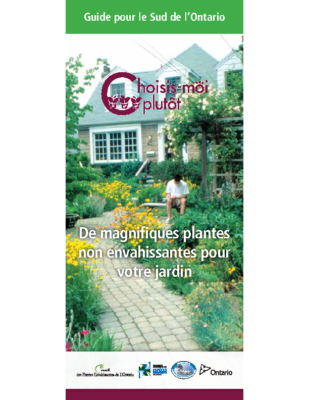 In 2011, the Horticulture Outreach Collaborative worked closely with the horticulture & landscape industry to develop a provincial Grow Me Instead campaign. 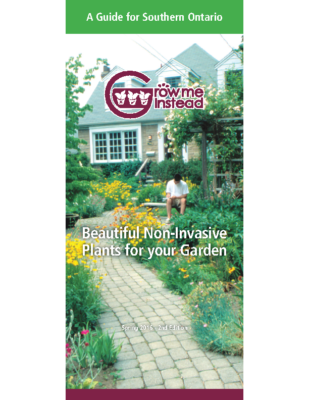 The Grow Me Instead guides identify invasive garden plants and provides suitable native or non-native, non-invasive alternatives. 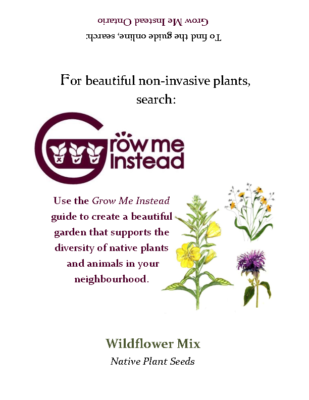 In continuation of the Grow Me Instead (GMI) campaign, the OIPC’s Horticulture Outreach Collaborative created two native seed packets including a Northern Ontario (Ansie hyssop) and Southern Ontario (Wild Bergamot, Black-eyed Susan and Common Evening Primrose) wildflower mix in the fall of 2018. 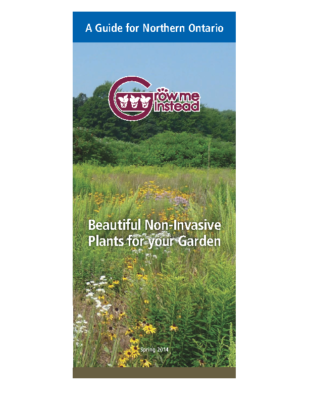 This ongoing GMI campaign aims to continue to promote the use of non-invasive garden alternatives for Ontarians through distribution to horticulture groups and individuals across Ontario. In 2018, in an effort to better provide native garden alternative accessibility, the Horticulture Outreach Collaborative’s GMI seed packet campaign partnered with the North American Native Plant Society (NANPS) through use of their logo on the seed packets and by increasing awareness of the NANPS’s Commercial Native Plant Growers List. 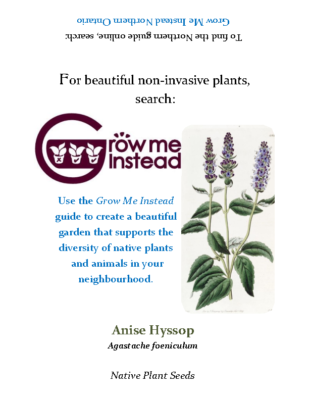 This list is available on the NANPS’s website and features growers who specialize in native plants and do not sell invasive species.Please click below to access the list on the NANPS’s website and for further details.